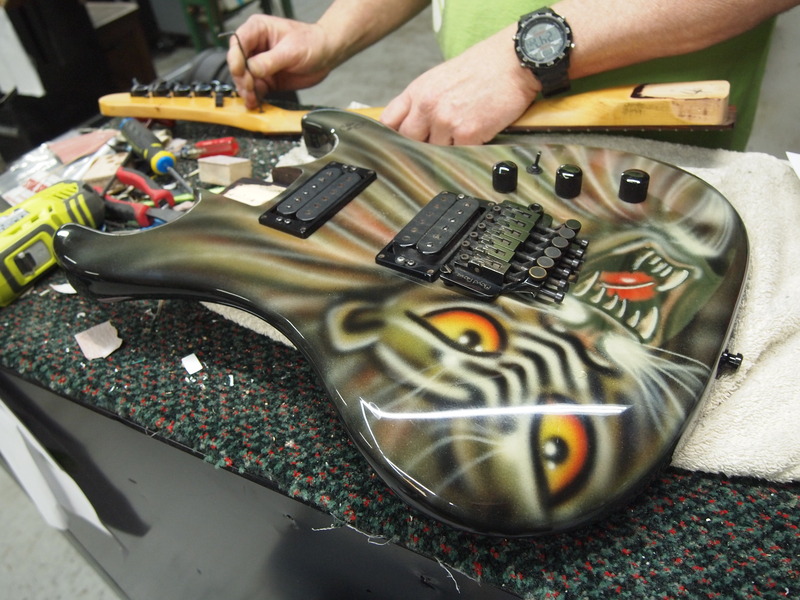 Don is currently working on this custom air brushed Kramer that was brought in. He is flattening the neck on it right now. We didn’t do the paint work on this but thought it was definitely worth sharing.